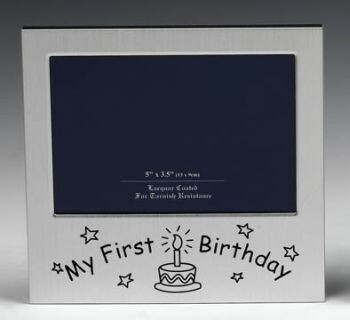 Laquer coated and tarnish resistant photo frame with 'My First Birthday' message and birthday cake & candle motif. Measurements of frame are 14cm wide x 13cm high. Takes photo size 5" x 3.5" (13cm x 9cm). Bubble wrapped and boxed. 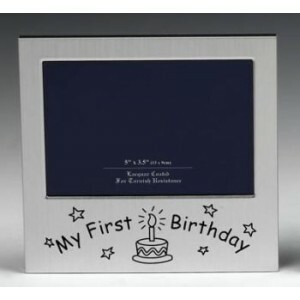 A lovely gift for a photo of your Baby's special 1st birthday party.